1) What are the benefits of doing Web-based payroll? 2) How secure is your service? 3) How will my employees receive their pay each period? 4) How will you bill me for subscription fees? 5) Will I be charged anything if I cancel my account? 6) Will you sell my contact information to third parties? 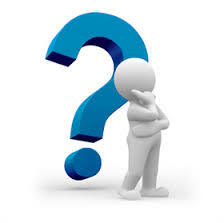 7) How will I provide my payroll information to my accountant at year end? 8) How can I find out more about SmartHRMS? 9) How do I contact your sales for use of SmartHRMS? 10) My company has only five employee; is your service right for me? Doing payroll online is convenient. You have access to your payroll service 7 days a week, 24 hours a day. You can process your payroll on your schedule, from any Internet connection: on the road, from the airport, from the office, or from wherever you happen to be. There are no software programs to download, buy, install or learn to use. Your payroll data is secure and backed up on our servers. Using SmartHRMS on the Web means you are not on your own: we will update the changes in the regulatory policies so that you will be assured that your filing confirm to the latest update. As a SmartHRMS customer, you can contact us via email or phone. Finally, when you have a question, our customer support representative can look at your data and quickly diagnose what your situation is. No more guessing what a customer might have entered into stand-alone software! Our support team can actually help you with your payroll; they are not limited to describing the mechanics of the software. With SmartHRMS, 256-bit SSL (Secured Socket Layer) encryption is used with no compromise and your data is safer than it would ever be on an unsecured desktop in your office. Individual MS SQL Server databases give you the robustness and power of a professionally managed and continuously backed-up system in a highly secured data center. You can issue pay by Check or direct deposit to the employee bank account. We will charge bi-annual or annual subscription fee. You can sent us by cheque or direct credit. Minimum starting contract is 6 months. You are advised to let us know 3 months before the end of the contract of the termination as we need to prepare the database for termination. There will not be any penalty. No. All information you submit to our payroll service is kept confidential with one-time password (OTP) secured. The access control lies with your authorized users. Our reports provide you with complete and accurate summaries of all information needed by your accountant, including wages paid to each employee, CPF contribution, and IR8A payment. All subscribers can print reports for accountants. In addition, many customers share online payroll tasks with their accountants. You can create an user ID for your accountant to access the relevant modules. Have a view what SmartHRMS Payroll System can do for you at our Guided Tour. For a more extensive evaluation before you become our customer, you may request for sample reports or a demo session so our sales representative can run through the system with you at your office. More questions? Contact us @ (65) 6367 1128 or email us at support@avelogic.com. You can find all of our contact information @ Contact Us. 10) My company has only five employee, is your service right for me? Yes! Our customers norm ranged employee size from 5 to 500. So you can spend your time on your business and not on compliance with payroll law.